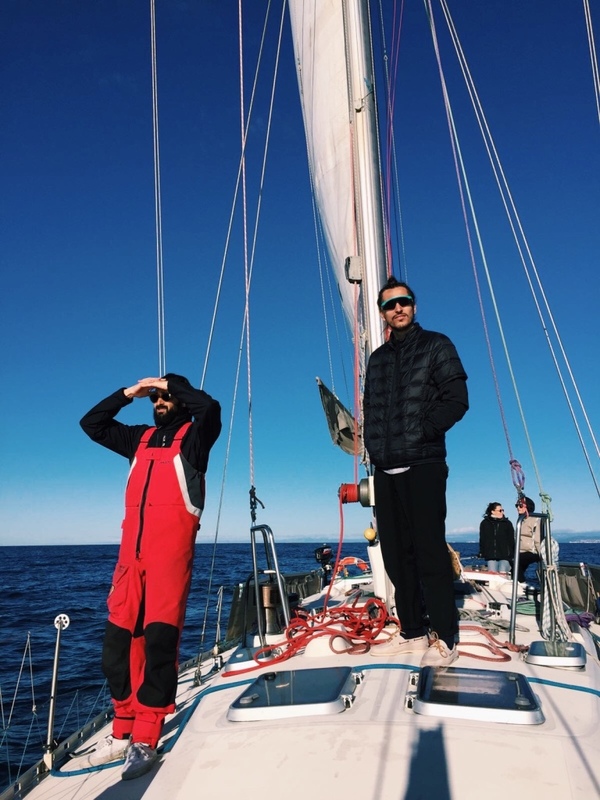 Find below some tips for a sailing winter trip. There is a charcoal heater in the boat. It is placed in the dinet ( the boat’s living room…) Normally, no matter the temperatura outside, we can be easily at 20ºC inside. At night, in order to make it last through all night long, we need to run it at its lowest power. This means that we can go down to 13 or 14ºC, depending on the day. But by then you’ll be in your worm bed withyour worm pijamas. A high temperauture inside is reached very fastafter we wake up. You will have a warm duvet cover in your bed. Nonetheless, I recomend you to bring your winter pijamas. A pair of jeans, a wool sweater, a jumper and a pair of sweat pants... I would recomend you warm and comfortable clothes. I also use thermal base layers, top and pants. Bring them if you have some. There are waterproof trousers for everyone on board. There are salopettes for everybody aboard. But remember you shoud carry the jacket. If you don't have a proper sailing one, don't worry, a rain coat, a mountain jacket, a typical outdoors jacket will do well. Bring your boat deckshoes in case you have them. If not, please bring some rubber sole sneakers. It’s better if the sole is anything but black color. The boat’s deck is white, and after a few days there would be plenty of marks. It should be all right if you bring your Vans or Converse like sneakers. Considerate that we will be trekking a little bit, sometimes though sandy and rocky paths. Bring proper shoes for adventures inland. You’ll always be able to charge your phone and tablet. Other gadgets chargers that would need 220V, like for computers, cameras, etc, it’s not always that we are able to charge them. Usually we do it when the boat’s engine is running, which is not very often. If we sleep in a village, there are showers in every harbour. You would be able to shower daily. If we sleep surounded by Nature, you’ll be able to have a warm shower on board, every two days, at least. There is shower gel and shampoo in the boat, for everybody. I recomend you to bring one towel.